Pioneers in the industry, we offer radiator coolant, automotive chemicals, engine degreasers, car washing liquid, windshield glass cleaner and engine piston & carbon remover from India. Chemtex's Radiator Coolant is a range of Corrosion Inhibited Ethylene Glycol based heat transfer fluids, used as an industrial / engine coolant, antifreeze agent. The inhibitor package is designed to protect brass, copper, solder, steel, cast iron, aluminum alloys and other components such as rubber hoses, gaskets, rubber seals, plastic components etc., that are commonly found in the cooling and heating systems and in engine and radiator. 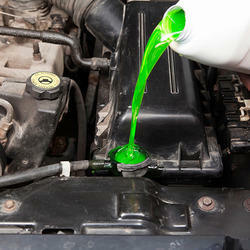 The Coolant is ideally used in devices to prevent engines from overheating. These fluids are formulated by making use of premium grade chemical compounds and complex formulations to make it indulged with anti-corrosion, anti-scaling, and antimicrobial properties. These formulations blended with various attributes such as low viscosity for effective circulation, reduce fan usage for increasing efficiency, fuel-saving, nontoxic, high thermal capacity and chemically inert. The phase transition along with latent heat addition, improvises the cooling efficiency of our offered liquefied product. This product is ideally utilized in automobiles, machines, HVAC and various other industrial processing. CHEMTEX'S Radiator Coolant will raise the boiling point and lower the freezing point of the engine coolant. The benefits impart resistance to the engine coolant from boiling in summer CHEMTEX'S Radiator Coolants are compatible with all types of coolants (both inhibited and un-inhibited glycol based), thus enables the flexibility of being added to a coolant solution of some other brand or make. Chemtex Speciality Limited manufactures Automotive Chemicals which is comprised of a range of Coolant, Coolant Additives, Radiator Cleaner (Internal and External), AC Flush, Windshield Washer Fluid etc. 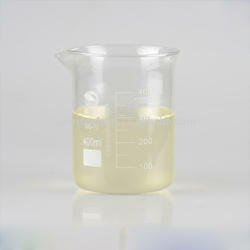 It is specially designed to be used as industrial Coolant, antifreeze agent. The inhibitor package is specifically designed for the protection of copper, solder, brass, cast iron, steel, aluminum alloys and other components such as gaskets, rubber seals, rubber hoses, plastic components etc., that are commonly found in the cooling and heating systems and in engine and radiator. It helps to reduce viscosity, fuel saving, reduced fan usage, non toxicity, high thermal capacity and chemically inert. This range of product is idyllically utilized in machines, automobiles, HVAC and various other industrial processing. This range of product can be used to inhibit the cooling system with added protection against corrosion and other damage. It also serves as a superior blend of cleaning chemicals for removing scale, dirt deposits, rust, oil and greasy deposits and contaminants from the engine, radiator and cooling system internals while the system is in operation which otherwise severely affect the heat transferability of the system and may lead to engine seizure due to overheating. It is a fluid for motor vehicles used for the purpose of cleaning the windshield with the windshield wiper while the vehicle is being driven. Chemtex manufactured product Engine Degreasers are specially designed for the removal of tough grease and oil build up on engines. It serves as a self emulsifying formula that penetrates deep into oil and grease for releasing it from the surface of the engine. It functions as a powerful and effective degreaser and cleaner. Chemtex Speciality Limited deals with the manufacturing of varied range of quality chemicals lending their assistance to the housekeeping division of different service industries. The range of products catered includes Glass Cleaners, Floor Cleaners, Toilet Cleaner, Dish Washing Chemicals, Car Washing Chemicals, etc. Chemtex’s Car Washing Liquid is a concentrated blend of anionic surfactants, sequestrants, alkalinity builders and emulsifiers. It is high foaming liquid cleaner for car washing. Windshield Glass Cleaner (or windshield wiper fluid, wiper fluid, or screen wash) serves as a cleaner for motor vehicles windshields with the windshield wiper being driven. This Windshield Glass Cleaner is added to the wiper washer fluid tank in the ratio of 1:32 parts water. The product exhibits excellent cleaning efficiency, with anti-fog and anti-static properties. The Windshield Washer Fluid also consists of optical brightening feature that allows it to give a transparent glaze to the glass and makes it spot free. Another variant of this Windshield Glass Cleaner based on methanol is also available for extremely cold climates that functions for de-icing (antifreezing) of the glass and melts snow away from the windshield. Chemtex Speciality Limited is an ISO 9001, ISO 14001 and OHSAS 18001 certified manufacturer and supplier of Windshield Washer Fluid. We have been in this field of chemicals for over a period of 40 years and we will continue to extend our services towards enriching the circadian operations of other industrial sectors. Piston Cleaning and Carbon Removing Compound is a water based cleaner for removing carbon deposits, oil and grime from engine parts, radiator and spares. It is specifically formulated to remove heavy dirt and road grime from all types of engines and removing burnt-over carbon deposits in the piston rings which otherwise affect the heat transfering ability of the system leading to engine seizure and over heating. Coolant Antifreeze or Heat Transfer Fluids are designed to prevent the inner engine parts from forming deposits, a major cause of failure. Compatible with most variants of cooling systems with added inhibitor package to protect brass, copper, solder, steel, cast iron, aluminium alloys and other components such as rubber hoses, gaskets, rubber seals, plastic components etc., that are commonly found in the engine radiator. The Coolant Antifreeze is Low silicate, borate free, NAP free. - Formulated and mixed with distilled water or as concentrates in appropriate proportions in order to enhance heat transfer protection. They are able to dissipate more heat and thus prevent the engine from overheating. 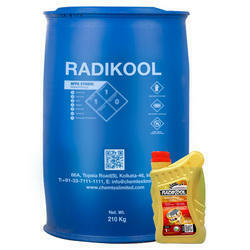 - Prevents rusting and corrosion with inhibitor additives to prevent the inner chambers from rusting or being corroded. - Foaming is also reduced. Regular coolant flushes help wipe away rust and scale deposits which otherwise tend to build up in the cooling system overtime. - All cooling systems leads to a build-up in contaminants. An antifreeze flush will completely cleanse these particles from the system. - Contain additives that help lubricate vehicle’s water pump. This lubrication works to extend the lifespan of the pump. - Longer Lasting and less prone to clumping. 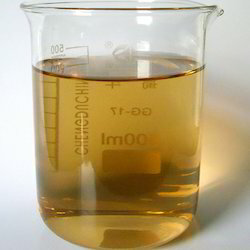 OAT Coolant Antifreeze are Long Life Coolants (LLC) based on minimally depleting Carboxylate Technology. OAT or Organic Acid Technology Coolant describes the kind of materials responsible for the corrosion protection offered by this type of coolant. This kind of coolant provides superior protection to all engine components including aluminium and magnesium. Unlike regular coolants, the need for Supplemental Coolant Additives (SCA’s) is no longer required, providing a long life meaning significant “cost savings”. In some heavy-duty diesel applications you may see a reference to a Coolant Extender. A Coolant Extender can be used with an OAT coolant to top-up certain additives at the products half life which is typically around 480,000 kms. In general OAT based corrosion inhibitors are recognized for their non-toxic properties making them readily biodegradable, addressing any environmental and occupational health & safety issues. OAT coolants are designed to prevent the inner engine parts from forming deposits, a major cause of failure. Compatible with most variants of cooling systems with added inhibitor package to protect brass, copper, solder, steel, cast iron, aluminium alloys and other components such as rubber hoses, gaskets, rubber seals, plastic components etc., that are commonly found in the engine radiator. HOAT stands for Hybrid OAT Coolant. OAT type coolant with added Nitrates. These antifreeze use organic acids, usually silicates to provide protection for aluminium surfaces. A HOAT coolant will need to be changed every five years or 150,000 miles. In recent years, antifreeze manufacturers have been creating universal antifreeze that can be used with all vehicle types. NOAT or Nitrited Organic Acid Technology Antifreeze means Nitrited Organic Acid Technology based heavy-duty Extended Life Coolant ELC. OAT antifreeze with additional nitrates. It is compatible with any heavy-duty diesel-powered commercial vehicle engine or stationary engine with aluminum and other engine metals. It is based on a concentrated blend of premium corrosion inhibitors designed to provide protection against temperature extremes, rust, corrosion, scale, and premature water pump failure. 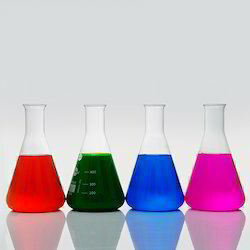 Looking for Automotive Chemicals ?